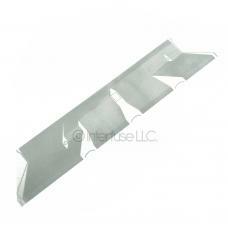 This listing is for (1) Mercedes Benz Silver Ribbon Pixel Repair Cable. The replacement ribbons can correct display problems where the LCD is unreadable because it is too dim or dark as well as appearing to be missing pixels. This problem is common with some Mercedes models. Compatible with E-Class W210 (Up to 1999), CLK W201 (Up to 1999) and G-Class W463 (Up to 1999). Fix display problems when pixels have become dark or un-readable. No installation instructions are included.